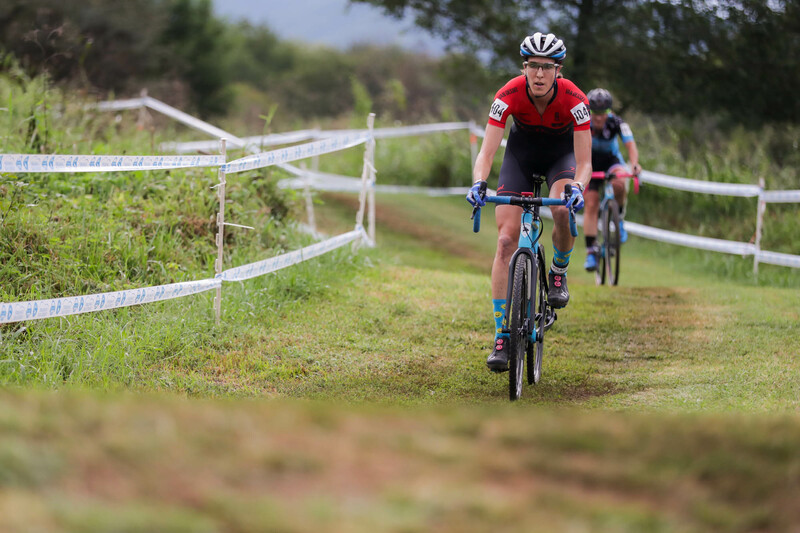 Kerry Werner (Kona) and Caroline Mani (Van Dessel Factory Team) won the men’s and women’s C2 races, respectively, on a course that would have raced like a grass crit in dry conditions, but instead featured damp straightaways and slick corners. 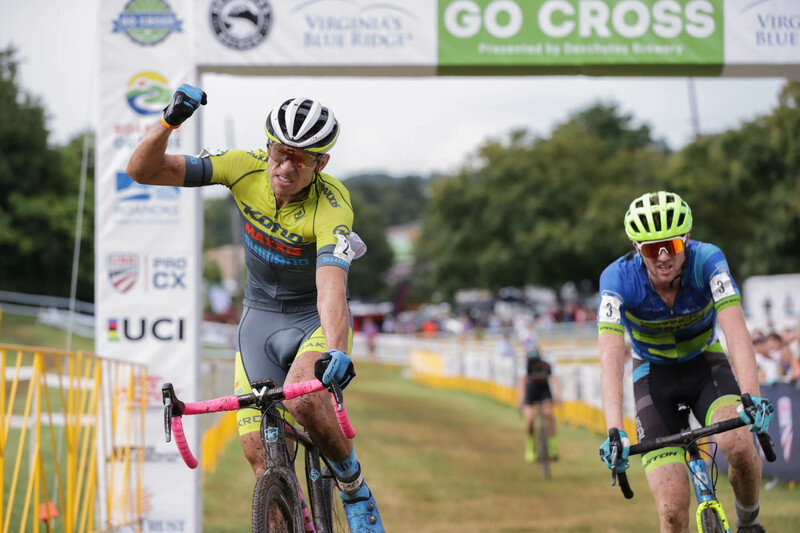 With its newly-minted C2 UCI status, GO Cross drew top men’s contenders from around the U.S., including Werner, last year’s Go Cross winner Tristan Cowie (CTS Cycling Team), 2017 ProCX champion Tobin Ortenblad (Santa Cruz/Donkey Label Racing), and Jack Kisseberth (Garneau-Easton p/b Transitions Lifecare). 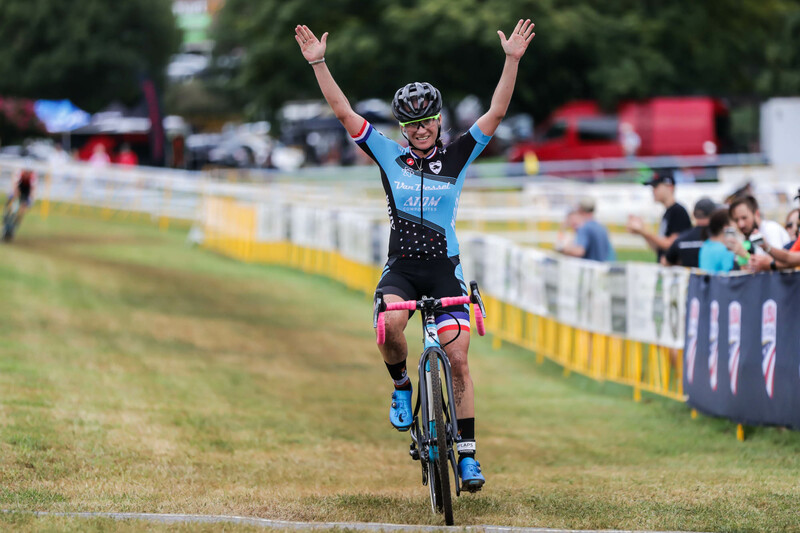 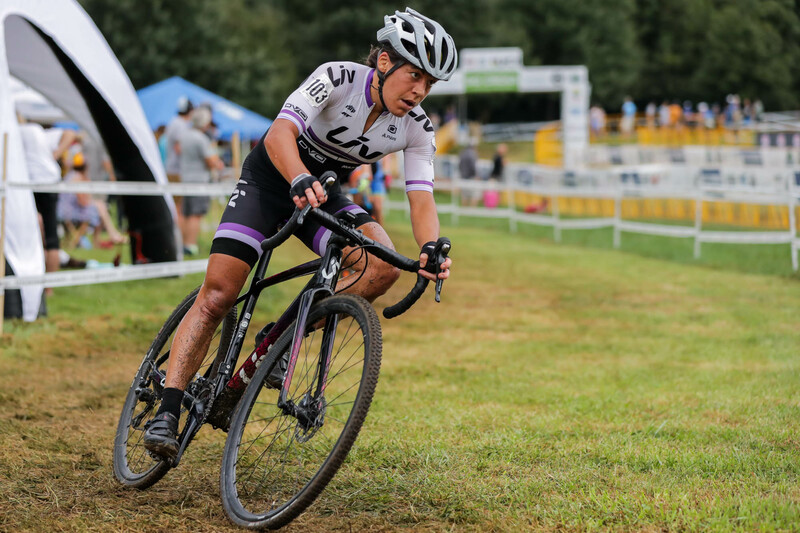 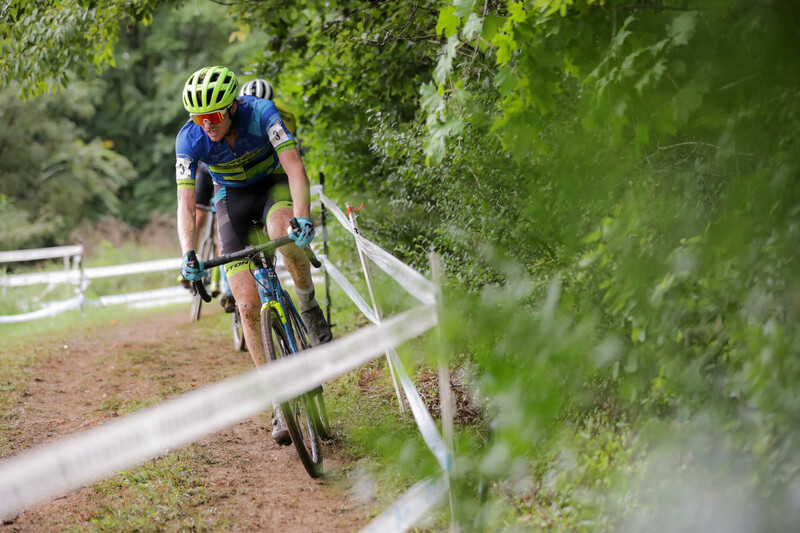 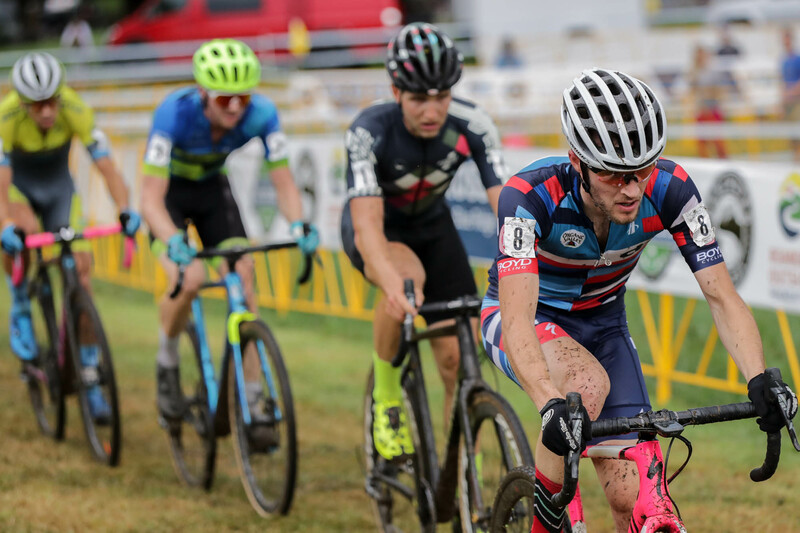 Day one at Fallon Park finished off with a strong elite women’s field, featuring Mani, Sunny Gilbert (Van Dessel Factory Team), Crystal Anthony (LIV Cycling) and Rebecca Fahringer (Stan’s NoTubes-Maxxis). 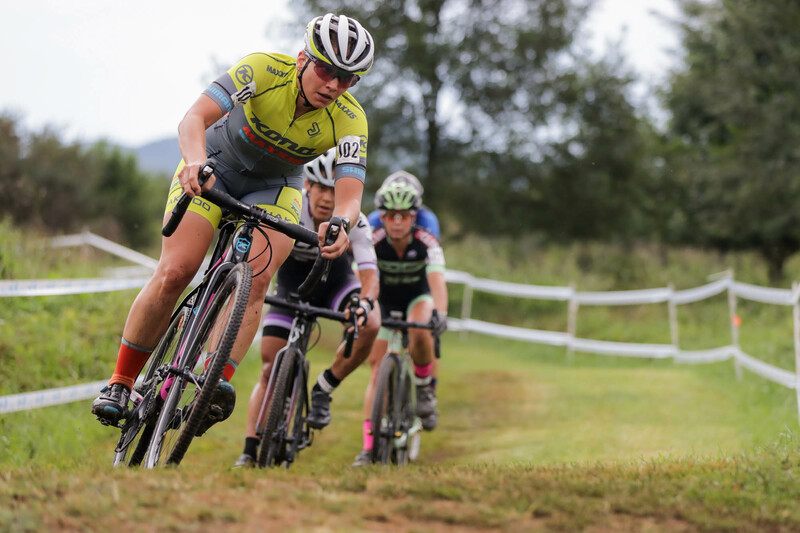 Allison Arensman (JA King p/b BR’C) took the holeshot and led the field on the first lap. 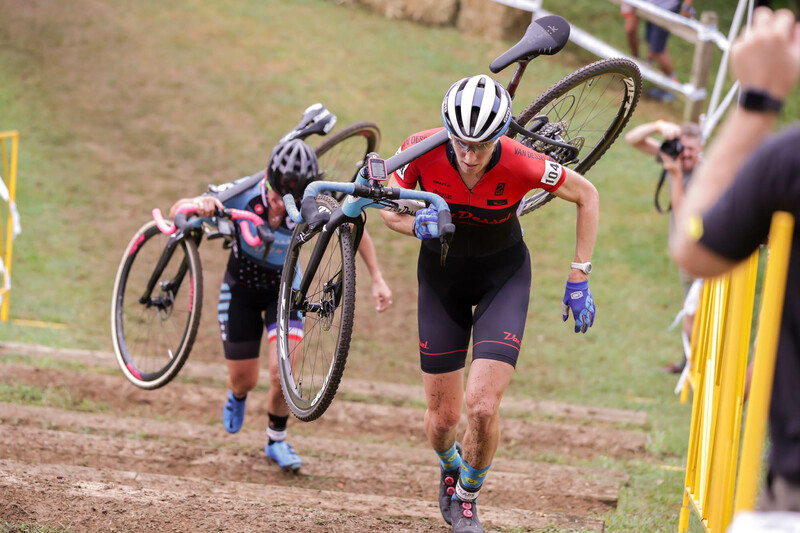 Mani, Gilbert and Fahringer soon took over at the front with Arensman, Caroline Nolan (Voler/Clif/Rock Lobster), Carla Williams (Deschutes Brewery) and Emily Shields (Amy D Foundation) in the mix. 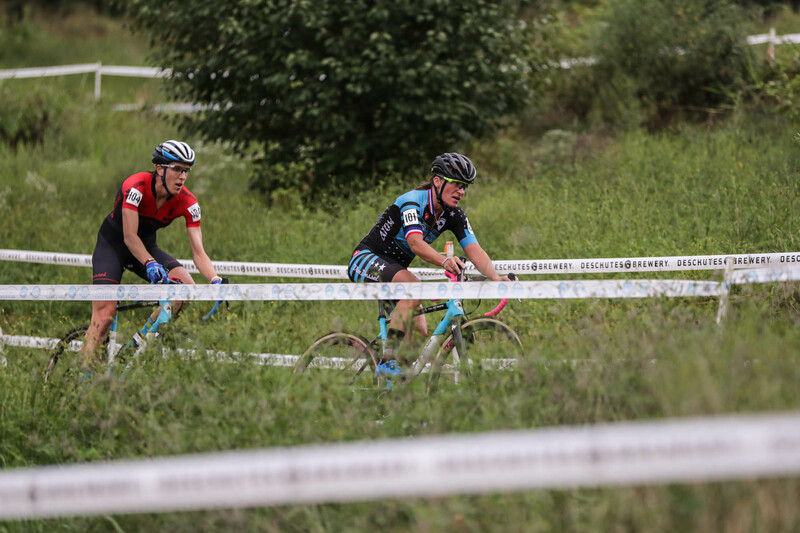 With the gap opening to the chase group, Fahringer went off on her own, hoping to bridge. 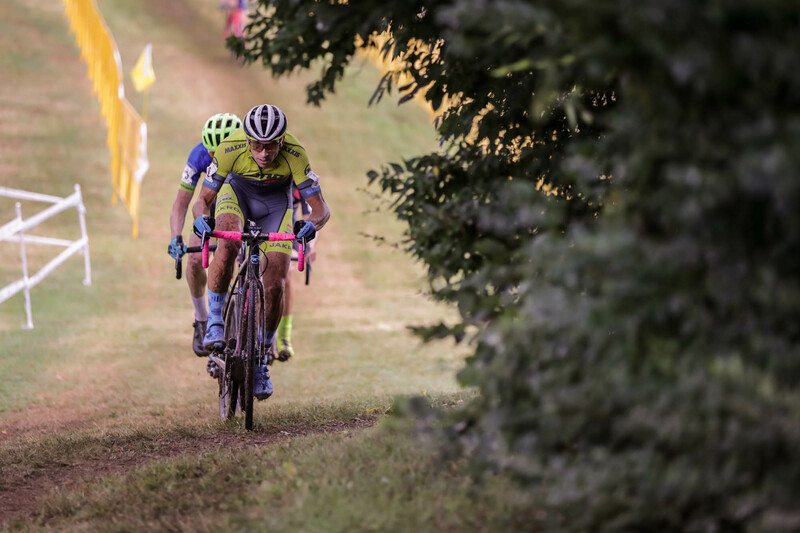 Behind, the small chase group—which included Anthony—kept Fahringer in sight. 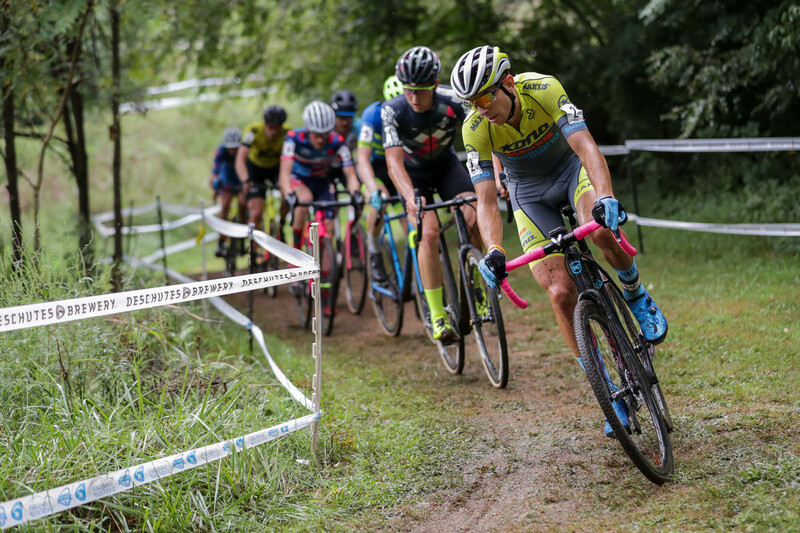 Fahringer pulled closer to Gilbert, but couldn’t make contact. 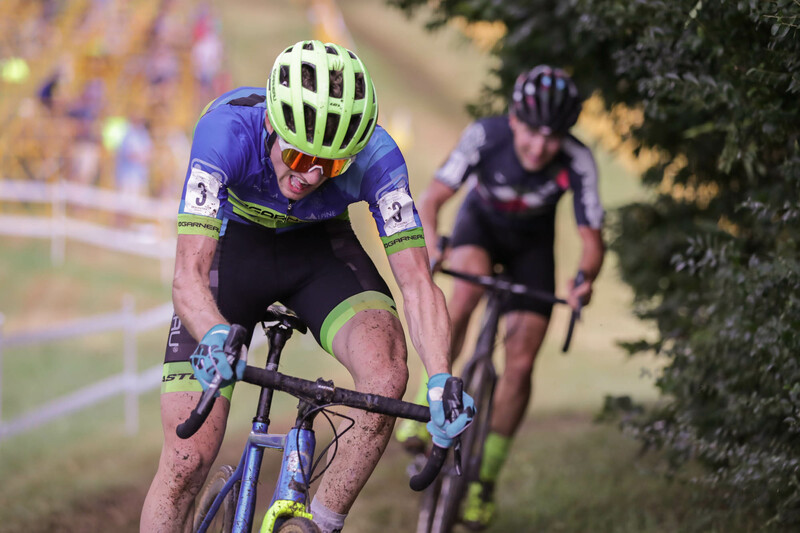 After sitting in to get a bit of recovery, Anthony made her move on the final lap and reeled in Fahringer, claiming the third spot. 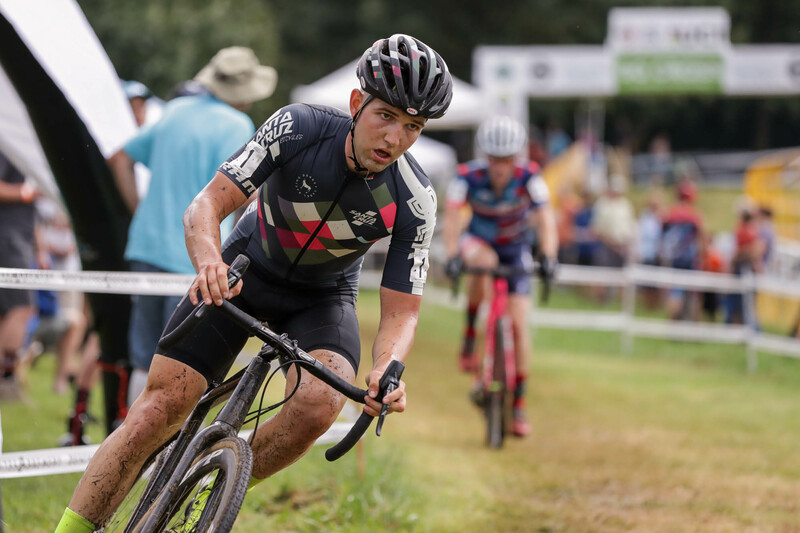 After taking the top two spots on the podium, Mani and Gilbert head into day two as favorites to repeat their dominant Saturday performance.